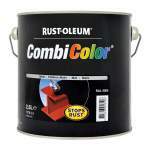 Combicolour anti-corrosion topcoat use with primer or direct to steel. One coat maintenance system for metal. Superior metal protection CombiColor Metal paint can be applied on bare or manually derusted steel, but for best anti-corrosive protection or for metal structures in a more aggressive industrial environment, prior application of a Rust-Oleum CombiPrimer Anti-Corrosion 3369/3380 is recommended. 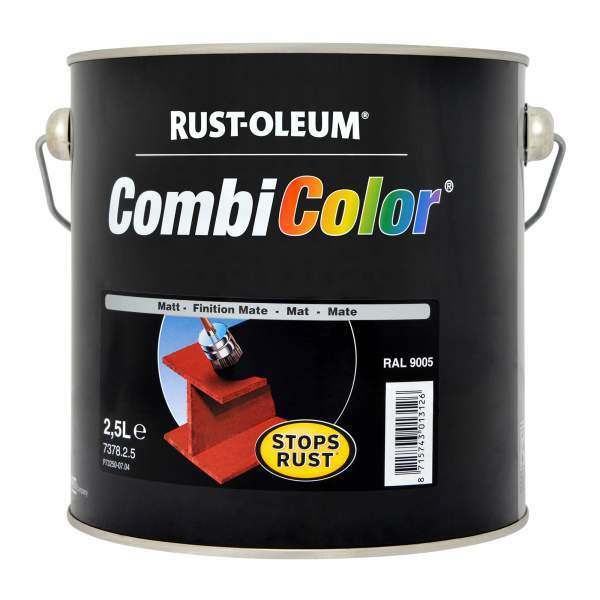 CombiColor® anti-rust primer and topcoat in one. Can be applied directly onto bare steel or a manually derusted surface. 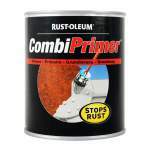 For added protection first apply one coat of CombiPrimer® (3369 or 3380). 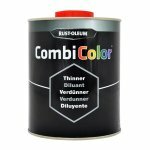 On galvanised or other smooth surfaces (such as stainless steel, aluminium, glass or PVC), prime with CombiPrimer 3302 or 3303 before application of CombiColor. Remove grease, oil and other surface contaminations with a cleaner/degreaser. Remove loose rust and deteriorated paint by scraping and wire brushing. Sand existing glossy paint to ensure good adhesion. The surface should be clean and dry before application of the coating. Stir carefully. Thin only if necessary with CombiColor 7301 thinner (Hammertones: 7302). 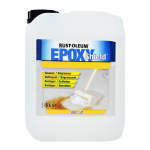 For brush or roller application dilute with up to 10% by volume, for air-atomised spray 10-25%. Only to be used at temperatures between 5°C and 35°C (Hammertones: 10 - 35°C) and a relative humidity of less than 85%. 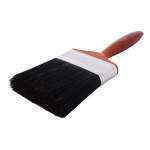 Perfection Pure Bristle Brush 4"